The 2017 Patricia and Edward Falkenberg Lecture featured a conversation between leading contemporary artist Michelle Grabner and the Museum’s Florence Finch Abbott Director Tricia Y. Paik. Based in Chicago and Milwaukee, Michelle Grabner works in a variety of media including drawing, painting, video and sculpture. Best known for her labor-intensive paintings, and well acclaimed for a recent series of bronze sculptures, Grabner’s work draws upon everyday textiles to explore themes of patterning, abstraction, domesticity, and motherhood. Grabner is also highly influential as an educator, curator and critic. She holds an MA in Art History and a BFA in Painting and Drawing from the University of Wisconsin–Milwaukee, and an MFA in Art Theory and Practice from Northwestern University. She joined the faculty of the School of the Art Institute of Chicago in 1996, and became Chair of its prestigious Painting and Drawing department in fall 2009. Her writing has been published in Artforum and Frieze, among other journals. Since 1999, Grabner has also run several contemporary exhibition and project spaces with her husband, artist Brad Killam. She curated the 2016 Portland Biennial and co-curated the 2014 Whitney Biennial at the Whitney Museum of American Art. Currently, Grabner is serving as co-artistic director of the 2018 FRONT International: Cleveland Triennial for Contemporary Art, the first edition of a new citywide contemporary art program that will take place in Cleveland every three years. 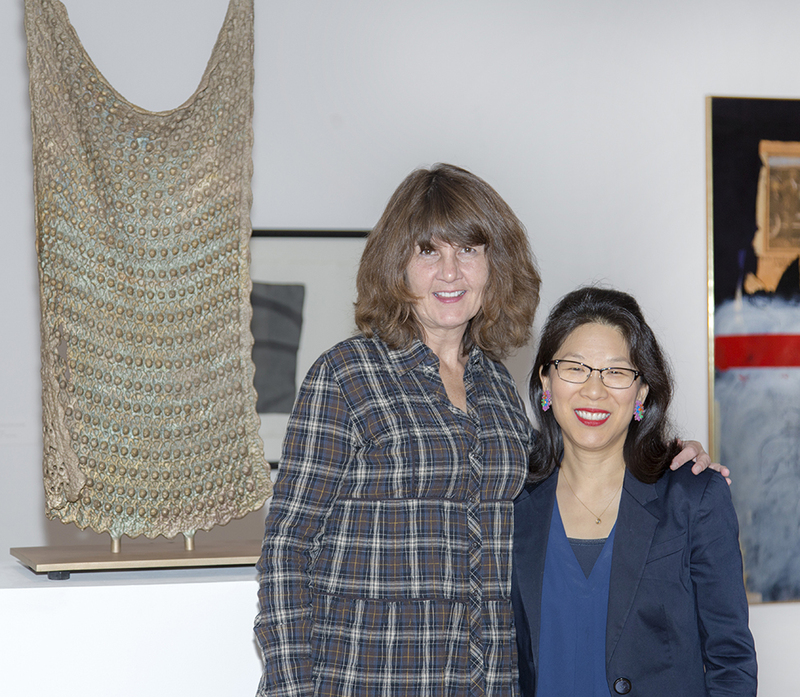 Grabner and Paik worked closely together in 2014–15 when Paik—then curator of contemporary art at the Indianapolis Museum of Art—organized “Michelle Grabner: Weaving Life into Art,” the artist’s first solo exhibition at an encyclopedic museum. In an engaging public conversation, they discussed Grabner’s wide-ranging artistic practice, current trends in the contemporary art world, as well as advice for young artists. The lecture occurred on September 14, 2017.